Guided by its parent company Rolex on strict standards, yet executed at a more moderate price point, the Tudor brand offers an enviable value proposition. As any good parent, Rolex was an ever-present and shaping force during Tudor’s infancy, imparting valuable knowledge, expertise, and skill to its young. However, Tudor outgrew the guidance and quickly went on to make a name for itself on its own terms. 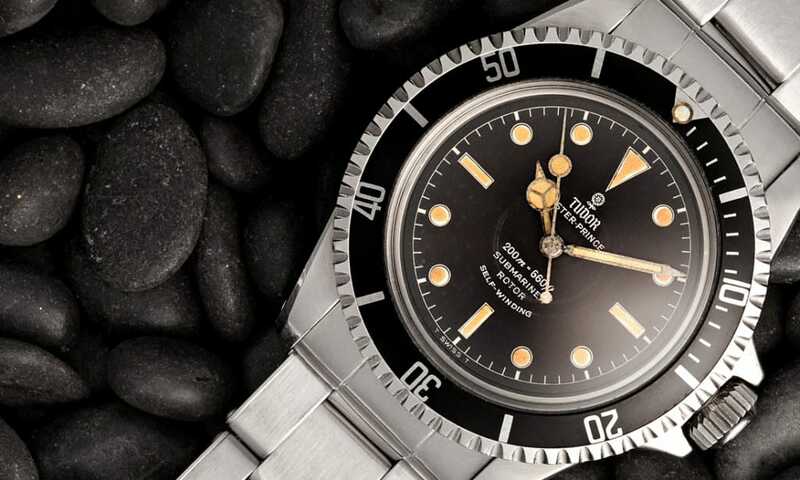 The Tudor Submariner 7928 set the tone for the future Tudor Submariners to come. Tudor presented its first diving watch with the Oyster Prince Submariner 7922 in 1954 and staying true to its mantra, it offered a durable and reliable waterproof watch at a great value. 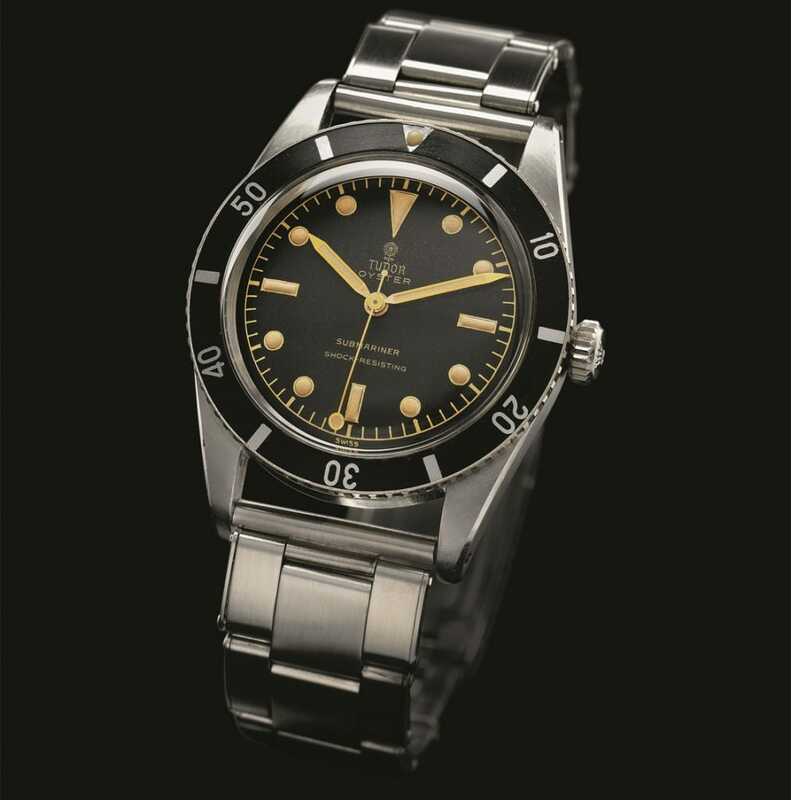 The first versions of the Tudor Submariner were considered experimental where the brand tinkered with the models in coordination with the feedback they’d receive from the diving professionals using them. In fact, the first four references of the 7900 series, 7922, 7923, 7924 and 7925, did not even appear in the Tudor general catalog. The arrival of the last reference in the 7900 series, the ref. 7928, was the first in its family to be included in the brand’s marketing materials and established many of the design codes of the Tudor Submariner collection. This is the Tudor Submariner 7923 (1955). The 7928 presented many “firsts” for the Tudor Submariner collection. 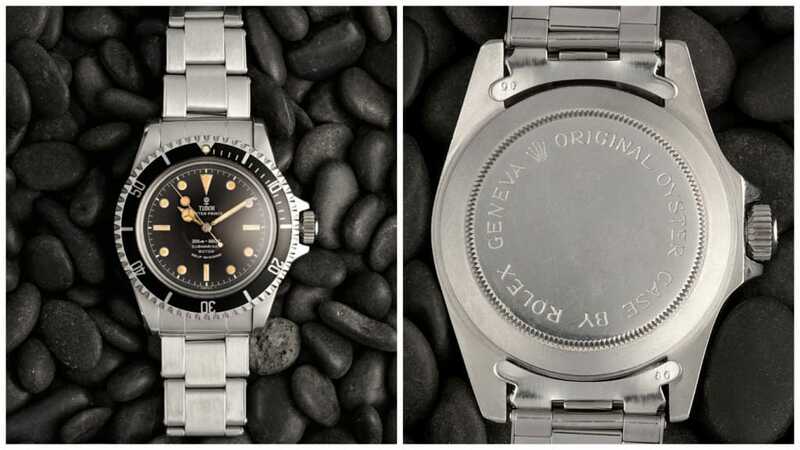 Its case was built to be bigger and more rugged at 39mm rather than the 37mm size of its predecessors and debuted with crown guards, which had never before been seen on the Submariner. It also featured a riveted bezel, much like the Rolex Submariner 5513. The first of many Tudor Submariners the ref. 7928 which can be compared to the 5513. The dial and crown of the Submariner 7928 would undergo several modifications throughout its production run from 1960 – 1968. It started off with square crown guards, moving onto pointed crown guards and finally arriving at the rounded crown guards, which were to become the standard. The square guard models of the Submariner 7928 are supremely rare and thereby, highly sought after by collectors. Early versions of the 7928 dial included a chapter ring and gilt writing and later on, there were different combinations of writing styles and markings on its dial throughout its development. The luminescent hands on a Tudor Submariner 7928 made it easy for divers to read underwater. Powering the Tudor 7928 was the self-winding Fleurier 390 movement, and this being a diving watch, it was waterproof to a depth of 660 feet (200 meters) and had large luminescent markers and luminescent-coated hands for easy underwater legibility. 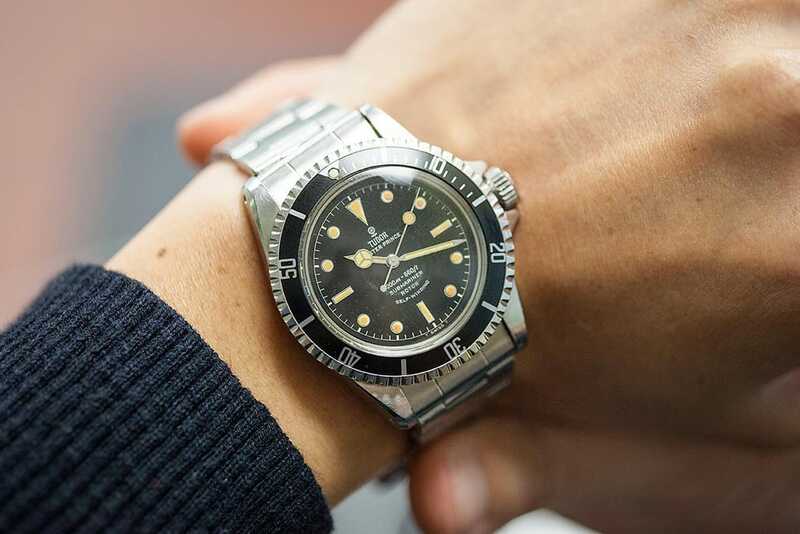 Launched, developed and marketed throughout the 60s, the Tudor Submariner 7928 set precedence for the entire future diving collection right up until the late 1990s when the Tudor Submariner line came to an end. Often unfairly referred to as the “poor man’s” version of the Rolex Submariner, the Tudor Submariner should more fittingly be seen as the dutiful prince to the king’s crown.